Five winning projects have been selected from the province’s first SPARK Night, a networking and match-making type program for researchers, which took place in November 2017. Each project will receive $5,000 in seed grants for preliminary research work. SPARK Night was created to help increase collaboration across research institutes which are funded by Innovation Saskatchewan. This premiere event focused on health. It was successful in attracting almost 50 researchers from 16 different institutes--connecting scholars with similar areas of interest so they could interact and identify areas for joint study in the future. 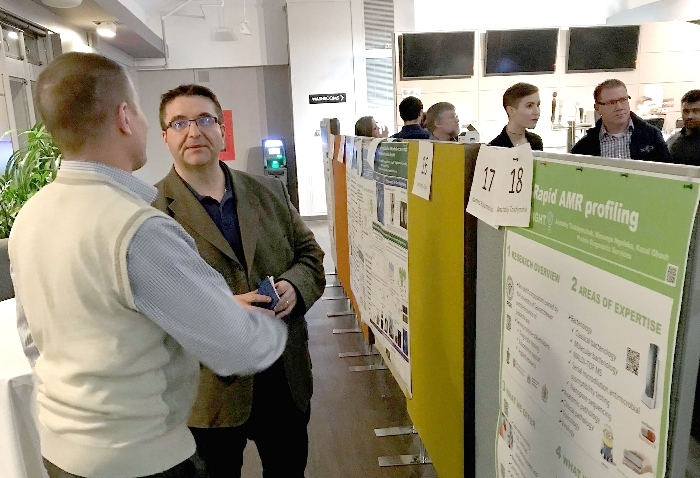 Working together in groups, researchers from the Universities of Saskatchewan and Regina and other institutes participated in SPARK Night and submitted 16 different project proposals for seed funding from Innovation Saskatchewan. Precision diagnostic test for human papilloma virus: Silvana Papagerakis (College of Dentistry) and Anatoliy Trokhymchuk (Prairie Diagnostic Services). The funding will support preliminary research work in each of these projects. Results from the research will be useful in helping the projects secure follow-up funding from other provincial and federal sources in the future.